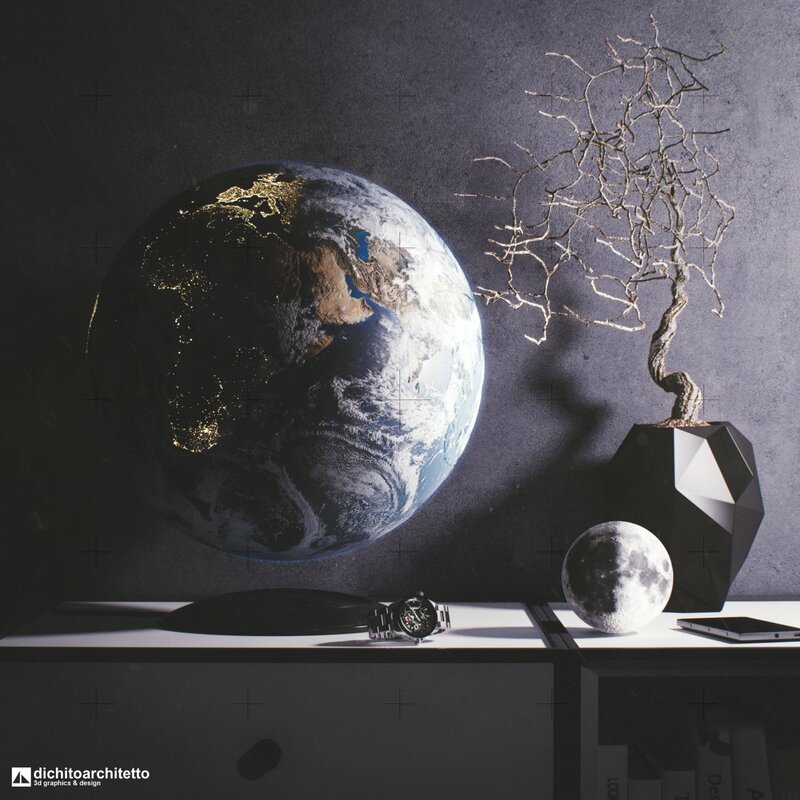 In this interior scene I created, a levitating globe is replaced by an iper-realistic Earth: therefore the scene title is “Levitating blue marble”; the reference, obviously, is the well-known image taken by Apollo 17 crew while travelling towards the Moon. In the scene, other Apollo missions references are present: the wristwatch hour (20:17:40 UTC on July 20, 1969), the grid-aligned crosses used on moon walk cameras (Reseau plate) and could not miss the Moon. A dry branch, on the right, closes the scene and remembers that outer space is not very confortable.